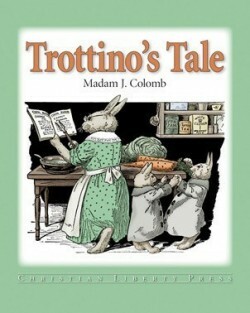 This colorful book provides younger children with morally uplifting stories based upon the adventures of a rabbit named Trottino. Detailed teaching suggestions are included at the end of the book, which provide instructions regarding how to bring out the biblical principles contained in the stories. This is a good book for parents to read to children ages four to six and appropriate for students in 3rd grade to read on their own.